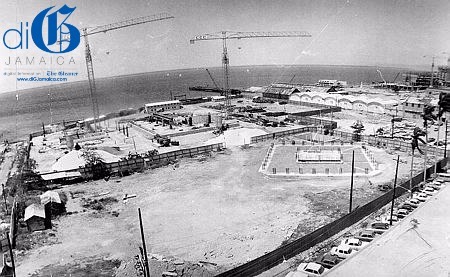 In celebration of Heritage Month, we will be sharing some ‘then and now’ photos of well-known spots in Jamaica in our Flashback Friday series. We kick things off with a very recognisable spot in the downtown Kingston area. 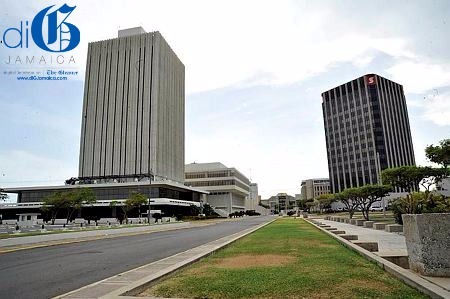 Two major development projects, the Bank of Jamaica (BOJ) financial complex and the new headquarters of the Bank of Nova Scotia Jamaica Limited, being done as part of the Kingston Waterfront redevelopment programme sponsored by the Urban Development Corporation (UDC). The BOJ building (left) and the Scotia Centre with a beautiful landscape.